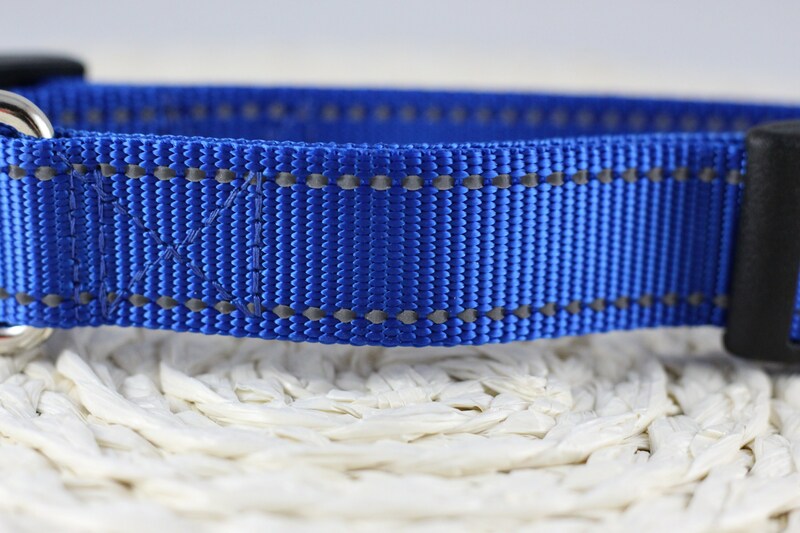 Our collars are lovingly handmade! 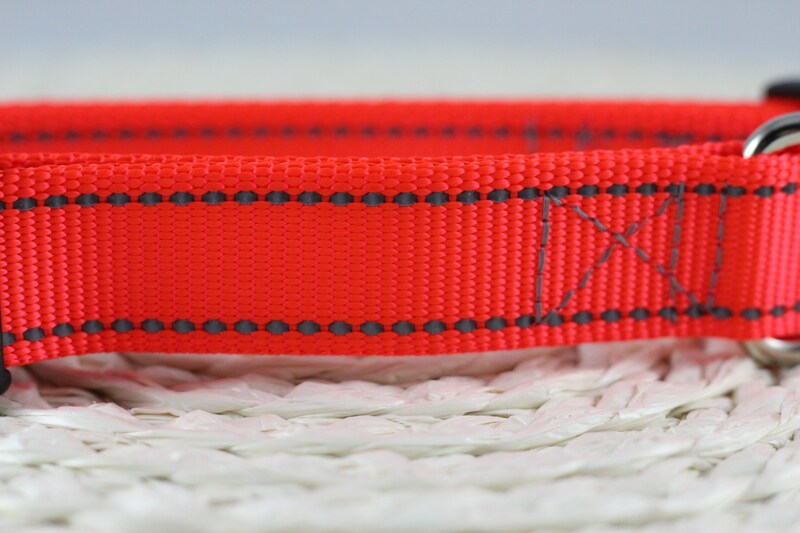 The ribbon is securely sewn onto sturdy nylon webbing and then finished with side release buckles and a heavy duty D-ring. 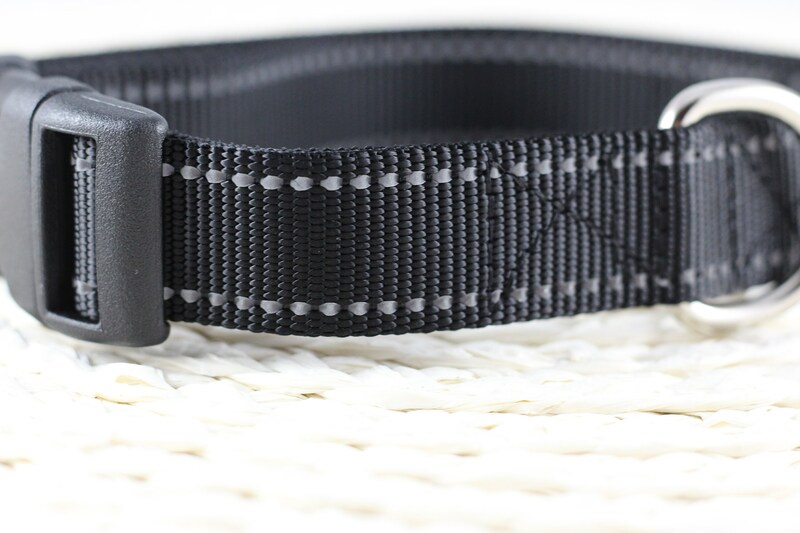 Stress points where the buckle attaches to the collar have reinforced stitching. Please use the following guide to help determine the appropriate fit for your furry friend. 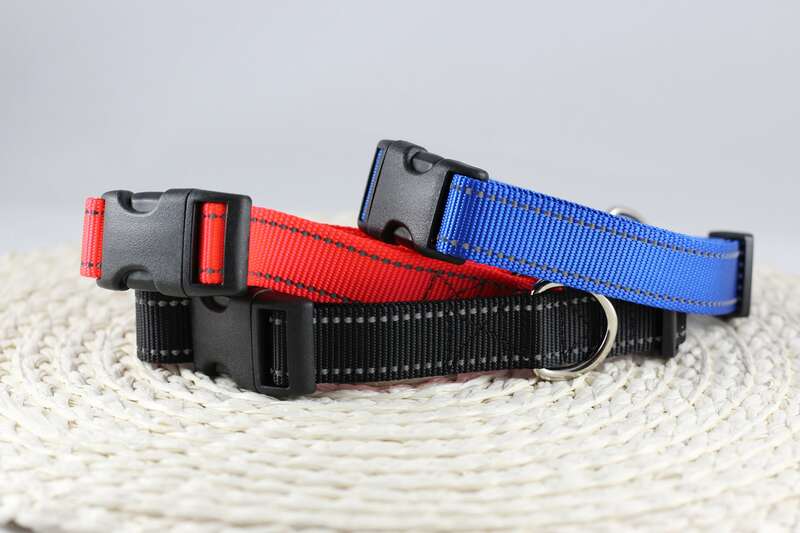 Please use a tape measure to measure your pet's neck where a collar would lay. 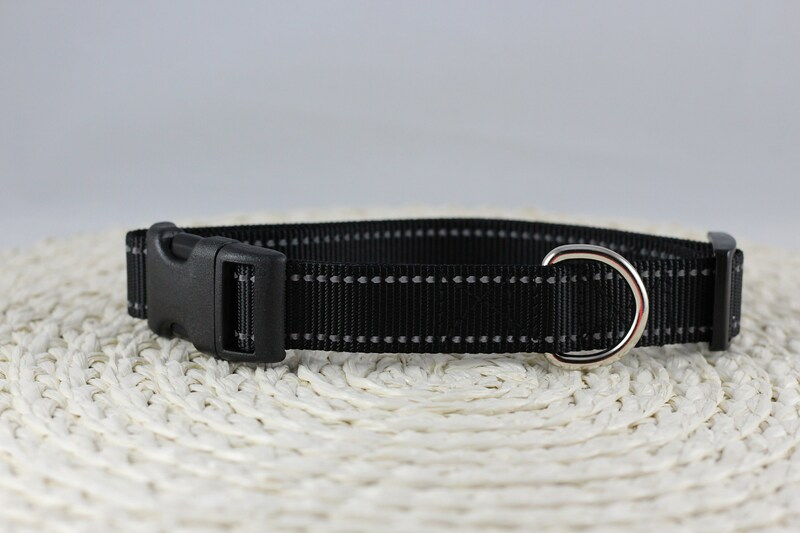 A collar should be loose enough that you can put a finger between the collar and your dog's neck. 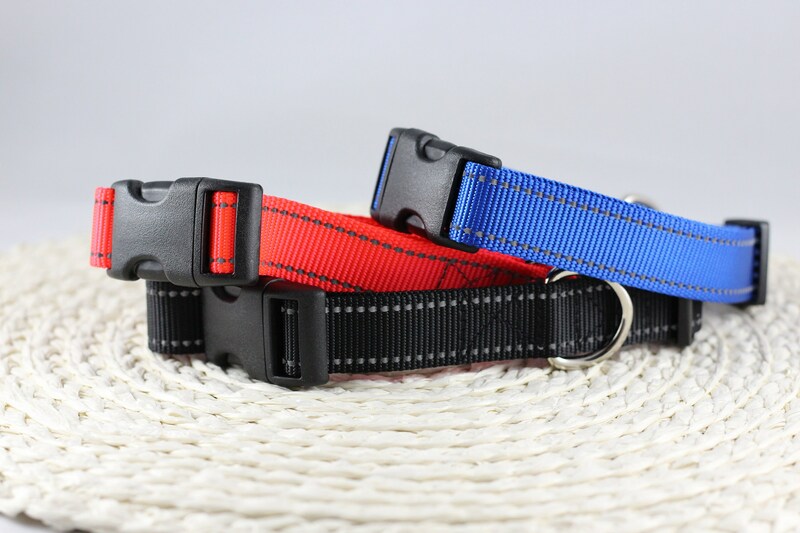 But, not too loose that the collar can slip over your pet's head without being unbuckled. 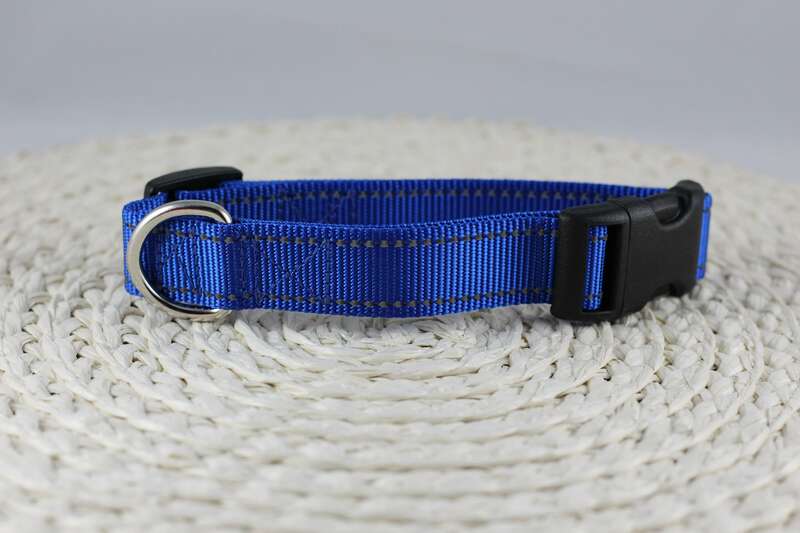 Small fits 12" - 15"
Medium fits 15" - 18"
Large fits 18" - 21"
XL fits >21" - 24"
Collar care: Hand washing in cold water is recommended and then lay flat to dry. 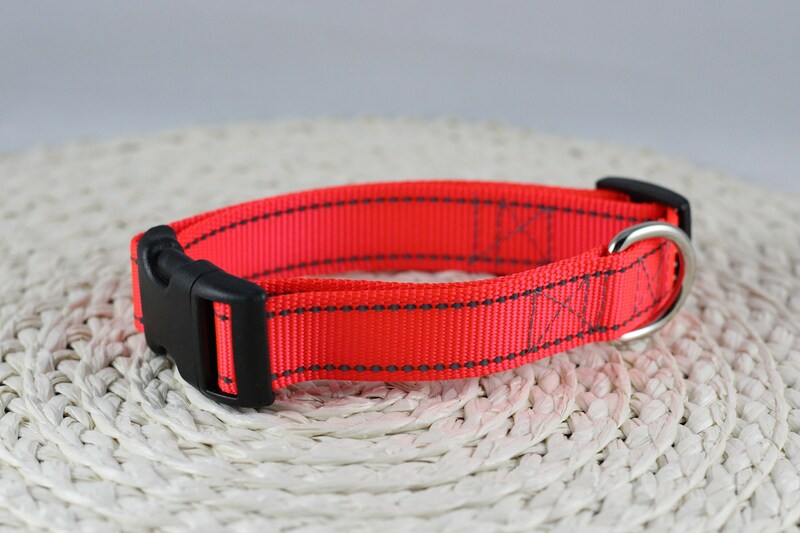 Each collar is individually made in a smoke free, but not pet free environment.